perhaps best equated with enlarging or reducing a full length photograph of a person....say you want to reduce the photo by 15%....if you make the entire reduction from just the legs, or the torso, or the neck and head - the resulting image is going to look very odd, way out of proportion - normal torso, head/neck, but with short little stubby legs - or normal head/neck and legs, but a grossly shortened torso that makes the subject appear deformed....no - in order to make an accurate reduction, the reduction must be made proportionally, over the entire length[height] of the subject. Munch conducted the score for this phenomenal film "Les Enfants du Paradis - one of my all time favourites. His Beethoven Eroica and Ninth are among the best. His Mozart is not too shabby either. I note that "Les Enfants du Paradis" has been magnificently restored and here is the US trailer. I'd encourage everybody who hasn't seen this remarkable film to do so. The appearance of Jean-Louis Barrault is the performance of a lifetime: I love every frame of this film and themusic of Joseph Kosma hits the spot!! Richard Wagner. Another German composer Munch handled well. Munch was also an excellent conductor of a second Germanic Richard: Richard Strauss. Wagner figured importantly in his repertoire; Munch was in fact something of a Wagnerian. Wagner excerpts in the concert hall had been Parisian favorites until the Occupation occurred and the excerpts came to acquire political connotations. I would not be looking to Munch/BSO for top quality Wagner performances or recordings...as has previously been presented, Munch's performances of German-Austrian music seemed to be noticeably uninvolved, even disinterested....also, the well-known shortcomings of the brass ensemble were serious drawbacks, esp for Wagner, Strauss, Bruckner, Mahler. While other major orchestras sought to establish a unified tone, balance, ensemble among the sections - NYPO, Cleveland, Chicago, Philadelphia all used the same model of instruments throughout the brass section: Conn, Bach, King etc - Boston,TMK, did not seek any such unity....and the tone, balance and ensemble problems among the brass were readily apparent. listeners can choose to ignore these, or not give them much importance - but they are legitimate, objective criteria for review. 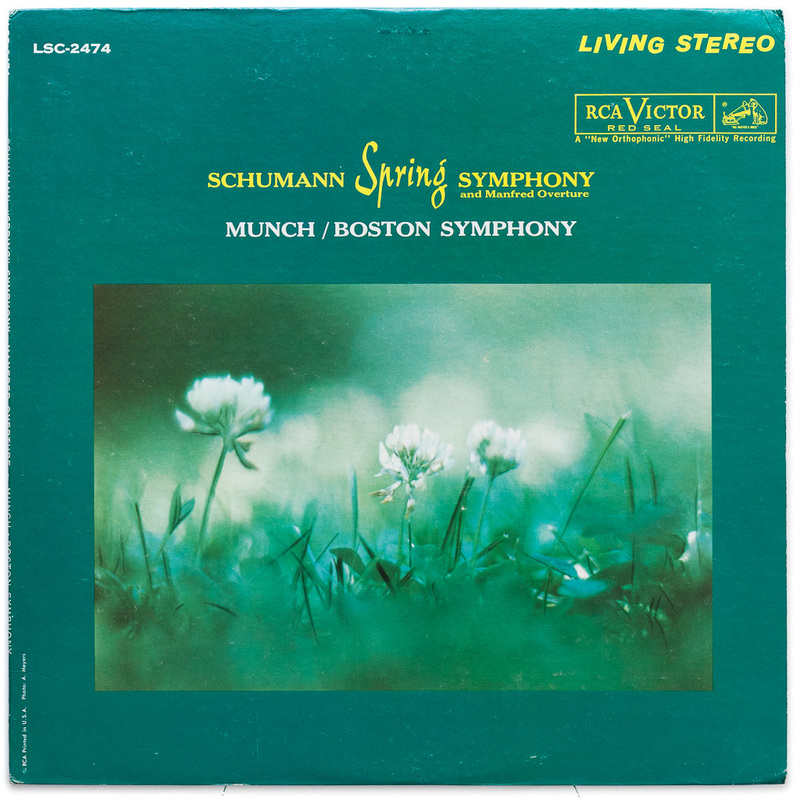 The 1959 Munch/BSO Schumann First is readily available for listeners to audition for themselves. I haven't had a chance to hear it yet (I am a fan of his earlier mono recording of this symphony: see the info and review below), but when I do I will listen closely to the woodwinds and brass. As for Richard Strauss, his live Sinfonia domestica is a wonderfully warm, supple reading. So too what I could make out of his Heldenleben: my copy was marred by digital artifacts. I also heard his incomplete (Adagio and Purgatorio) Mahler 10 from the late fifties and it sounded fine for that era. I haven't heard any of his Bruckner. I do question how a negative judgment could be rendered on it (or on his Mahler for that matter) seemingly without having heard an actual performance. David Saemann in Fanfare wrote: Fanfare Review: Vive le beau Charles! In the “Spring” Symphony, the introduction of the opening movement is like the unraveling of some cosmic matter, a sort of Maestoso churning of the heavens. The movement’s main section is loaded with charm, as all nature comes to life. The BSO players are on the edge of their seats. The Larghetto presents a pastoral idyll, with the sun and clouds shifting through the trees. A peasant feeling dominates the scherzo, mixing together song and dance. The final movement’s high spirits almost sound a bit tipsy, as if Schumann were translating his heavy drinking into sound. This surely is one of the great statements of this symphony. In the Brahms Fourth, one notes Munch’s admiration for Toscanini. There is the same quickness in tempo and clarity of texture, although Munch draws a more beautiful sound out of the BSO than Toscanini did from the NBC. At no point do we encounter the Central European indulgence in phrasing and plushness of sound that one hears, say, from Wolfgang Sawallisch and the London Philharmonic. Munch’s opening movement is direct and unaffected. The severity of its rhetoric is offset by a bucolic feeling in the winds. His slow movement sounds like a dramatic soliloquy, Shakespearean in its sense of self-revelation. The third movement is positively Jovian, having an Olympian jocosity. For the last movement, Munch takes the direction “with energy and passion” very much to heart. To Munch, there’s an inevitability to this last symphonic movement by Brahms—nothing could follow it. I’m not sure I always would want to hear the Brahms Fourth this way, but when I’m in the mood it’s fantastic. The sound engineering is full and probably too reverberant, although the Brahms is a little closer up than the Schumann. Obert-Thorn has opted to leave in a lot of tape hiss, which in all likelihood does the tone color some good. My favorite stereo version of the Schumann is the period performance informed account by Florian Merz conducting the Klassische Philharmonie Düsseldorf. For a traditional rendition, I like Christoph Eschenbach with the Bamberg Symphony; I have not heard his Hamburg remake. The best stereo Brahms Fourth I know is Antal Doráti’s with the London Symphony. Charles Munch’s recordings were an integral part of my upbringing, so encountering the present reissue was like meeting again a treasured and admired friend. All I can say about this CD is Vive le beau Charles! This article originally appeared in Issue 38:1 (Sept/Oct 2014) of Fanfare Magazine. jserraglio wrote: I haven't heard any of his Bruckner. I do question how a negative judgment could be rendered on it (or on his Mahler for that matter) seemingly without having heard an actual performance. Nobody has made such a judgment, not in this thread, have they? 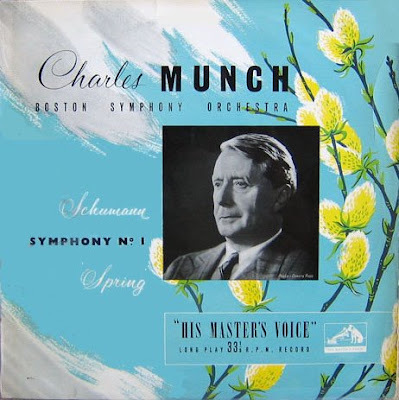 Several have observed that the character of Munch's Boston Symphony Orchestra, especially the brass, was unsuitable for Bruckner and Mahler, but that's a different issue. There appears to be no meeting of minds here. Have you heard any recording or broadcast by Munch and the BSO that you think is less than top drawer? Do your ears hear the same defects in the orchestra's playing and Munch's interpretations of the standard repertoire that several of us find fault with? If not, then I should think this discussion has nowhere to go except around in circles, as it's already begun to do. Yes, I recall suggesting here that his Mahler 10th, while it sounded fine for that early era, was not the greatest Mahler I have ever heard. I've also said that I've been actively listening for just the sort of defects you allude to. So far I have not been been able to hear them, not for lack of trying, and have admitted that may be entirely due to my own limitations. Trying to be responsive to the criticism leveled at Munch, I quoted a Munch admirer who did hear such problems once an orchestra player pointed them out to him, but judged the performance (Berlioz Overtures) as on the whole excellent in spite of them. An eminently fair, sensible judgment in my opinion. Questioning the character of the Munch/BSO in Bruckner, Mahler, Strauss and Wagner w/o citing a single performance does strike me as problematic. There may or may not be a meeting of minds, but I have learned a lot from others here whom I disagree with about Munch but agree with about much else, such the splendid quality of the CSO and Reiner's performances. You, of course, are free to think that this discussion is going in circles, or nowhere, or that it not worth reading at all. Last edited by jserraglio on Wed Mar 21, 2018 12:37 pm, edited 5 times in total. - 2/27/63 - TV concert on DVD - Munch conducts a program with Ravel "La Valse", "Valses Nobles/Sentimentales", Berlioz "Royal Hunt and Storm". all very fine - Terrific La Valse, Berlioz. Thanks for the listening list. I have access to the splendid CSO archival boxes. Also, permit me to say I appreciate all your commentary about pitch and how orchestral instruments, viz. brass and woodwinds, should sound. All new to me. Stitched together and printed up, they will comprise a useful listening guide. We may disagree about the BSO but not, I take it, about the CSO. Hands down the greatest US orchestra of the past century, I think. Hearing Martinon conduct them in Ann Arbor on several occasions rearranged my psychic equilibrium. Thanks, Joe - excellent thread...lots of good stuff. If you get a chance to hear the BSO now, with Nelsons - grab it!! He's done a fine job, and the orchestra is sounding very excellent. Yes, really. Martinon shook me in the Sacre. He and the CSO players were possessed -- I was raised on my home town band, the Clevelanders, so up to that point I had worshipped Apollo not Dionysus. I was totally unprepared for the CSO sound. Forgot to mention earlier that I had no idea that Reiner had conducted any Bruckner, let alone that much Bruckner. Love to hear those. It does bother me that I cannot hear problems that other listeners hear. I seriously intend to work on that. My only consolation is that I have read that the players in a certain well-known orchestra have said that their conductor does not hear problems, thus can't correct them. but have not pursued many of them so far. I will now do so. I did listen to every single Levine/BSO bcst I could lay my hands on--e.g., wonderful John Harbison symphony cycle. I admit though I am biased when it comes to the Boston band. Last edited by jserraglio on Thu Mar 22, 2018 4:50 am, edited 2 times in total. jserraglio wrote: Questioning the character of the Munch/BSO in Bruckner, Mahler, Strauss and Wagner w/o citing a single performance does strike me as problematic. If one knows the requirements of the music and the character of the orchestra, one can certainly have a qualified opinion, which is all that's needed here. It's not really the issue anyway, since Munch chose to conduct little if any music by those composers, and while Leinsdorf did immediately after taking over as music director, it's not his record but Munch's that we're talking about. I've also said that I heard the orchestra play better under guest conductors (I named Antal Dorati and could also have mentioned Pierre Monteux) than in quite a few concerts I attended with Munch himself conducting. But if you never hear any deficiencies in their playing, only that their Mahler 10 "was not the greatest Mahler I have ever heard," you may not have an opinion about this. JohnF wrote: It's not really the issue anyway, since Munch chose to conduct little if any music by those composers [Bruckner, Mahler, Strauss and Wagner], and while Leinsdorf did immediately after taking over as music director, it's not his record but Munch's that we're talking about. The issue is not how little of these composers Munch conducted, or the fact that perennial whipping boy Erich Leinsdorf conducted more of them afterwards, but whether or not Munch conducted enough of them to form a basis for judgment. I believe he did. So to suggest that Munch's BSO was ill-suited for Bruckner, Mahler, Strauss and Wagner without citing a single one of his extant recordings of these composers strikes me as problematic because it leaves one open to the charge that a judgment was rendered without hearing relevant evidence. Of course, generalizations about the character of an orchestra and the requirements of the music are qualified opinions. But they can still be problematic opinions. And I believe they are problematic in this case because it is misleading to state that Munch conducted "little if any music by those composers". In fact, Munch conducted at least two significant works by Bruckner, three by Mahler, seven by Strauss and seven by Wagner. Recordings exist for all but one of these. Moreover, two different 1958 recordings of the Bruckner 7th exist, both available, one as a video. I've listened to the Mahler 10, Wagner with Eileen Farrell, and the Strauss Sinfonia domestica and Ein Heldenleben. There the orchestra sounded fine to my arguably undiscriminating ear. But at least I listened. The fact that I don't, or can't, hear deficiencies that others hear doesn't mean the faults are not there, only that I may like (or dislike) a performance as a whole whatever its faults may be. I happen to think (and many listeners way more acute than I would concur) that Munch is a great conductor, so to ask me to name Munch performances I don't like is a bit like asking a boy to find and enumerate facial blemishes on the girl he's in love with. I respect music criticism, but it's not my trade. Last edited by jserraglio on Fri Mar 23, 2018 6:42 am, edited 4 times in total. also - as you are listening, try to isolate, pick out various voices in the orchestra as they are playing, not necessarily, the top or melodic voices...listen for each section as a whole when possible...you begin to hear things, or not hear them, as the case may be. once you start taking things apart with listening, a whole new vista emerges...you will still enjoy the "whole picture", but the many components that comprise the whole become clear...have fun!! Thank you for the abundant guidance, obviously provided from a professional perspective. Every time I hear the Clevelanders in Severance Hall I marvel at their blended sound signature. They make it look easy but I know from listening to many free concerts at 2 conservatories (Oberlin and CIM) it isn't. I don't know that Stokowski conducted any Bruckner after the 4th in 1914. That's surprising; one would think this composer would be right in his wheelhouse as a former organist. I think I just figured out why Munch speaks to me despite the imperfections in ensemble. It's because I came to classical via jazz: Duke Ellington (the master improviser, whom I once heard live), Louis Armstrong, Miles Davis, Oscar Peterson, Dave Brubeck, John Coltrane. Like Ellington, whose conductorial body language was about as nonchalant as one could imagine, Munch was highly improvisational. I wonder if he was influenced by jazz. All very interesting commentary on Charles Munch. Still, I remain a great fan of his. When he was good, it was very good. I voraciously collected his BSO recordings right from the early years of mono and through to the stereo recordings and remakes of repertoire he recorded before. I maintain that an orchestra the caliber of the Boston Symphony was generally remarkable regardless of who was at the helm of the time. Koussevitzky brought special qualities to the orchestra (particularly his second recording of the Sibelius 2nd), which was among his last recordings made with the orchestra. Too, Monteux did some great work with the orchestra. I have heard some recordings by Leinsdorf that were incredible, though not with the BSO (I'm thinking Schubert's Mass No. 6 in E-flat on EMI). However, I also felt his Brahms Symphony No. 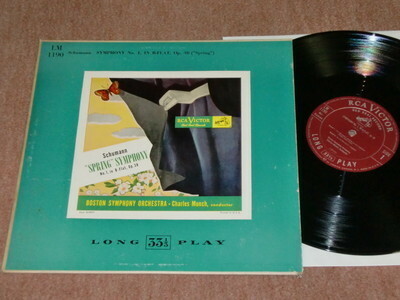 4 [RCA 60488 paired with Brahms Symphony No. 1 under Munch) was one of the best I have ever heard, and I have many, many, but always return to Leinsdorf's when I want to hear that work. All that said, I am very pleased to have the big Munch Edition on RCA. Listeners of recordings will pick and choose their favourites for various reasons, perhaps not always musical reasons, but for what the interpretations do for them personally. To be a member of the orchestra performing must not only listen to what is happening around them, but take direction from the conductor who is blending the sounds from the best vantage point in front of the orchestra. Also, the recording process itself can have a great affect on what we hear through the grooves or the digital process. Munch may not have performed nor recorded the same piece twice the same way just as Richter, Rubinstein, or Gilels would not perform a Beethoven sonata the same way identically. Speaking of brass, particularly trumpets, my late father was a performing trumpeter who studied with Ernest S. Williams who performed with the Philadelphia Orchestra under Stokowski. I also studied the trumpet for many years and was steeped in tone production and beauty of sound. For me, Roger Voisin never had the kind of tonal quality that I would call beautiful, but blatty. Armando Ghitalla, on the other hand, produced a wonderfully rich and round sound that never illustrated stridency. (Listen to him perform Hummel's Trumpet Concerto with Monteux conducting a pickup orchestra in Boston [comprised of BSO musicians largely] that appeared on an old Cambridge LP later to be found on a Crystal reissue on CD . That is the kind of trumpet sound I generally prefer as well as that of Chicago's Adolph Herseth. On the matter of "mixing" brands of instruments, I can relate an experience I had once for a two-piano recital, one a Steinway concert grand and a Baldwin concert grand (both nine feet in length). Different scale designs, tonal properties (same wool used in both sets of hammers). 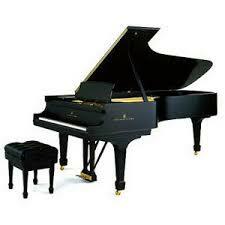 It became my job to match both pianos tune-wise perfectly (not an easy job since the scale designs are different). I was able to match both pianos with careful tuning, but also voicing the hammers enough to make the two pianos sound as close to each other as possible and balance the two pianos for the same volume properties. It worked. While studying the trumpet/cornet, my instruments were Conn and King, both using Conn (or Bach) mouthpieces. In playing duets or trios, two or three of us would try to match the tone qualities as much as possible by sheer "listening to what you are hearing." No doubt, all this is tricky business. So, back to Charles Munch: I prefer to take him! What a superb discussion! This is EXACTLY why I chose to join this forum. Heck148: you express yourself so well, and I agree with what you say so clearly, that I dropped out of this thread a few says ago. Chicago & Cleveland in those days were clearly superior to Boston, but Boston has, judging by recent recordings, caught up and is now a very fine band under Nelsons. j serraglio: Thanks for your illuminating contributions. This forum is about education of the musical ear and mind, and that has been accomplished here, myself included. I haven't heard the Munch/Wagner/Farrell recording in over 30 years. Is it available on CD? My usual sources don't have it. Brian, the RCA mega-box set on Munch has it all! 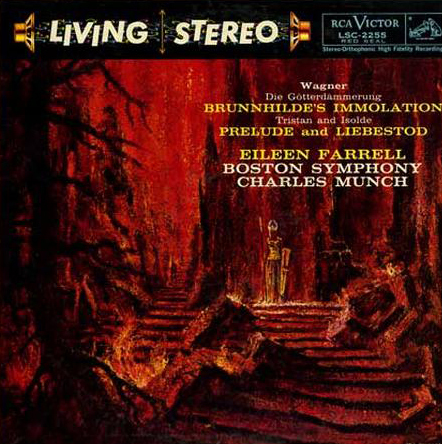 I haven't heard the Munch/Wagner/Farrell recording in over 30 years. That would certainly be consistent with a jazz style approach, where musicians' solos might change from night to night, depending on how that musician felt on that particular occasion. Munch, of course, was not the only well-known conductor who disliked rehearsing - Sir Malcolm Sargent was [in??] famous for his lack of preparation, and earned the nickname among English musicians as "Flash Harry", partly for his demeanor and style, and also for his ambivalence to rehearsing and racing from one session to another. Hans Knappertsbusch was another....detested rehearsing, and preferred to let it happen at concert time...."You know it, and I know it, so why rehearse it??" on one occasion, Kna was forced to rehearse a work - at the performance, the orchestra got completely balled up on the repeats, some taking the repeat, others not....post performance, Kna went out grumbling, wouldn't have happened if we hadn't had that ------ rehearsal!!" [from <<The Great Conductors>>; Harold Schoenberg; 1967]. Solti, in his Memoirs", cites the same occasion - and quotes Kna: "That's what comes of all your damned rehearsing!" Just saw on youtube, Munch conducted Benny Goodman's famous Mozart Clarinet Concerto. Somehow I never made a connection to Munch in that recording which I have heard many times. Beecham's rehearsals too sometimes seemed parodies of the conventions of a rehearsal. The British upper-crust disdain for the professional drudge, love for the amateur. What the BSO guys told you about Munch reminded me of the live Ellington jazz concert I heard in a small venue (a tent out side Cleveland in the early 60s). Ellington's impish grin and twinkle in his eye. As if he expected his players to converse musically with him, but sat down at the piano only once in over an hour and there was no particular urgency to his conducting. Just listened to all your youtube postings, jserraglio. Thanks for making my day! I thought the real standout was Martinon's live clip: electrifying! The Munch studio recordings were well-produced, and frankly the brass did not blend as it should, but the tempi were all right. I'll try to find that single CD: I'll pass on the Munch megabox (limited space), but will pick up the Szell set when it becomes available. If only we had a Brunnhilde like Eileen Farrell today! Maybe there's one out there that I haven't heard (very possible). One can only hope. I agree. The Martinon grabbed me but I am a big fan since I heard him in person with the Chicago. The Munch/Farrell Wagner does not exist as a single CD. I own the LP and just found an LP rip online to listen to for convenience. Can't afford the Munch megabox. Just listened to all your youtube postings, jserraglio. Thanks for making my day! I thought the real standout was Martinon's live clip: electrifying! Martinon was really a fine conductor, and his recorded legacy in Chicago is indeed very excellent - so many great recordings!! It's too bad he ran into so much trouble, both with the orchestra personnel, and with the mean-spirited critic "Cloddia" Cassidy. I know the woman who played extra/auxiliary clarinet with the CSO during those years - She said that Martinon conducted a great "Rite of Spring" series ['67], really taught the orchestra the work, which got them thru Ozawa's recording a year later....She said there were parts of the score that Ozawa just "didn't get" rhythmically....at a later date the then Eb Clarinet player of the BSO said the exact same thing to me when Ozawa performed the work with the BSO - there were sections of the score he just "didn't get". Farrell had a huge voice, a tremendously powerful sound...Back in the 60s, she performed at the Plaza theater in my hometown....passersby said that you could hear her voice all the way outside, across State St [a boulevard with a wide park area in the middle] to the other side!! .....but Boston has, judging by recent recordings, caught up and is now a very fine band under Nelsons.